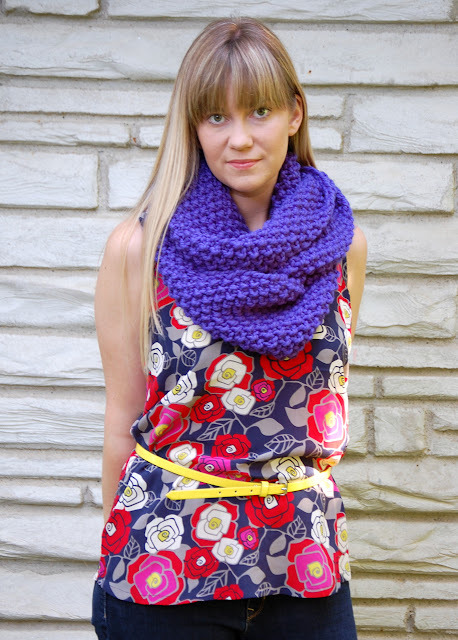 I'm headed to Renegade Craft Fair again, and the Chicago show comes around just in time for fall knits. 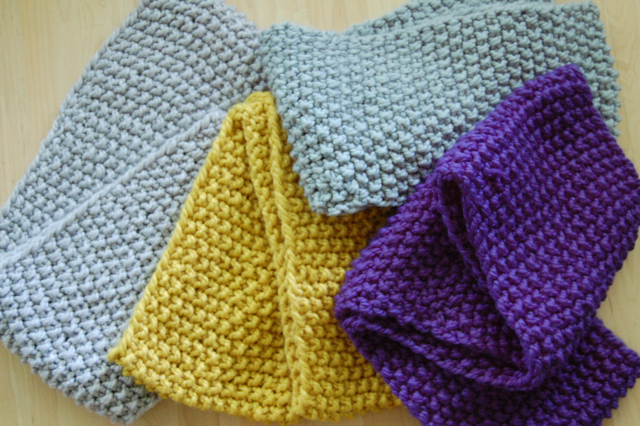 (You know, the ones I've been knitting all summer long!) Renegade is only a week away, so my needles are flying furiously these last few days. Here's what you can expect to see if you come out to visit me next weekend. 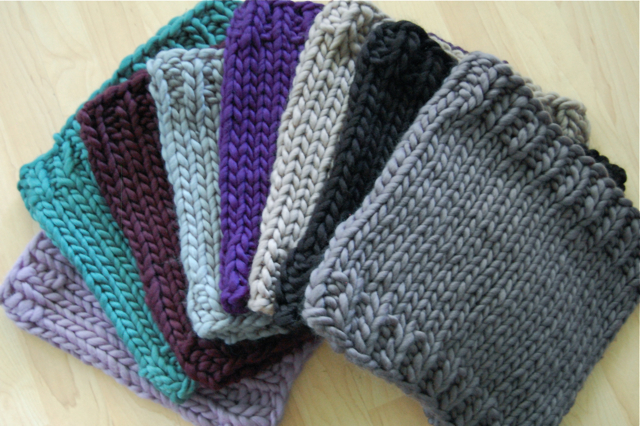 Big, huge insanely soft 100% virgin wool cowls. They're seriously giant. 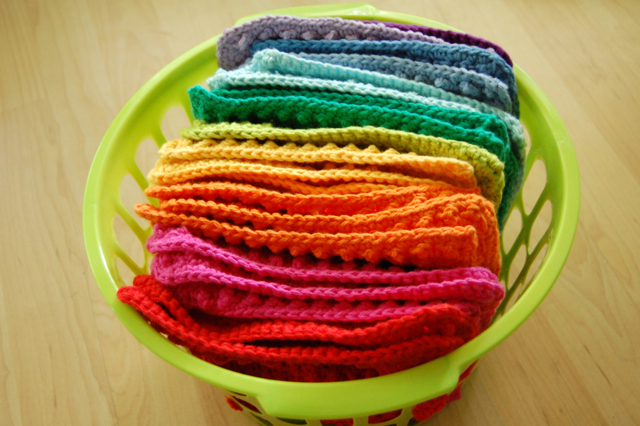 My mom even got in on the action and crocheted this beautiful rainbow of scrubby cotton dishcloths. I'm in love with them. One week! Chicago. Wicker Park, Division + Damon Street. 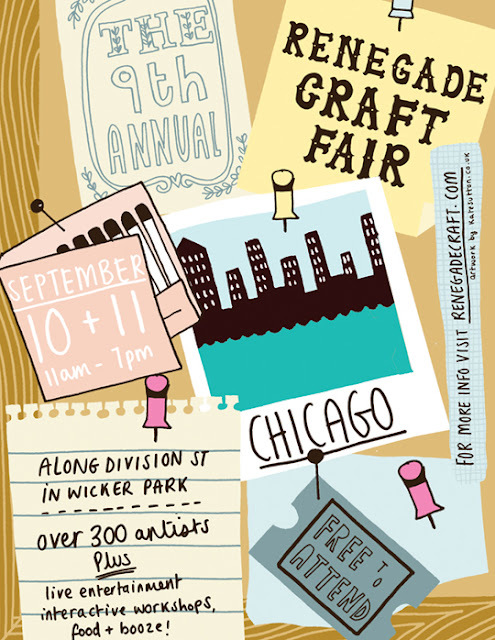 Over 300 handmade artists will be there and it's always such a fun time. (More info here.) Come on out! Gorgeous work! Have a wonderful time and good luck!! 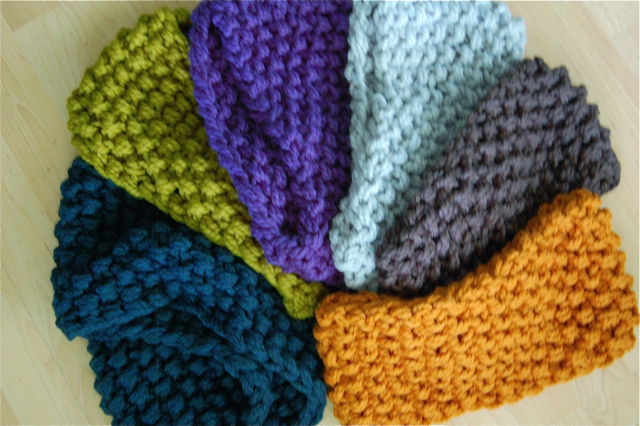 love the knitted goodies, wish we were there together, like...old times...sigh. have fun! !